We’re back! 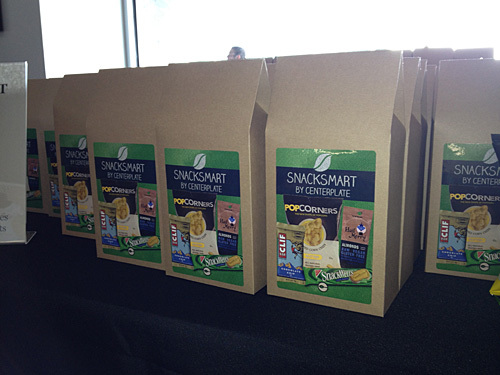 The Giants‘ annual media open house had so much interesting stuff, I just had to share it, and that seems like as good of an excuse as any to revive this too-long-dormant MLBlog. 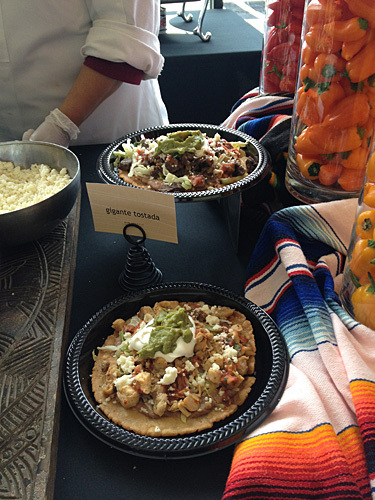 The media open house is an annual event the Giants hold where they invite — duh — the media to learn about AT&T Park improvements, promotions, marketing campaigns and food items that will be prominent in the upcoming season. 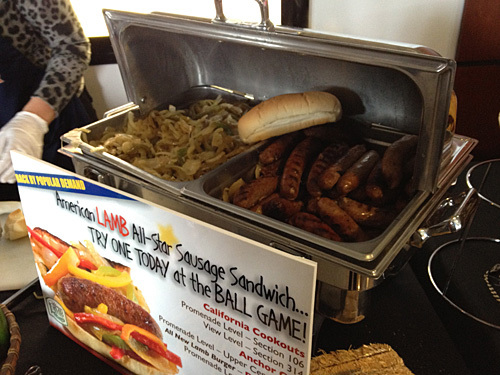 The event is usually held on the field and in the Field Club, but this year, it was moved to the club level. 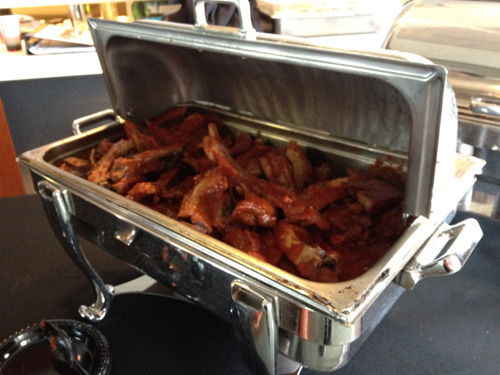 Make that the Virgin America Club level. 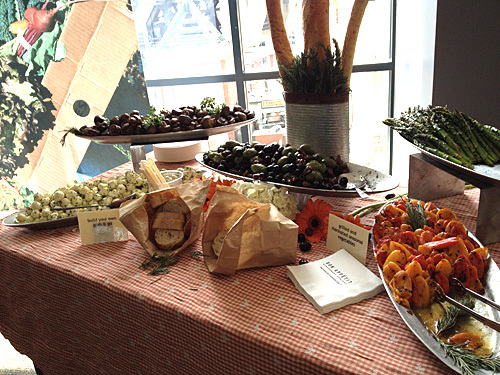 Thanks to an expanded partnership with the San Francisco-based airline, the club level has been rebranded as the Virgin America Club. Flight attendants greeted the media as we went up the escalator to the club level, and the new look of the escalator trumpeted the partnership in a big way. 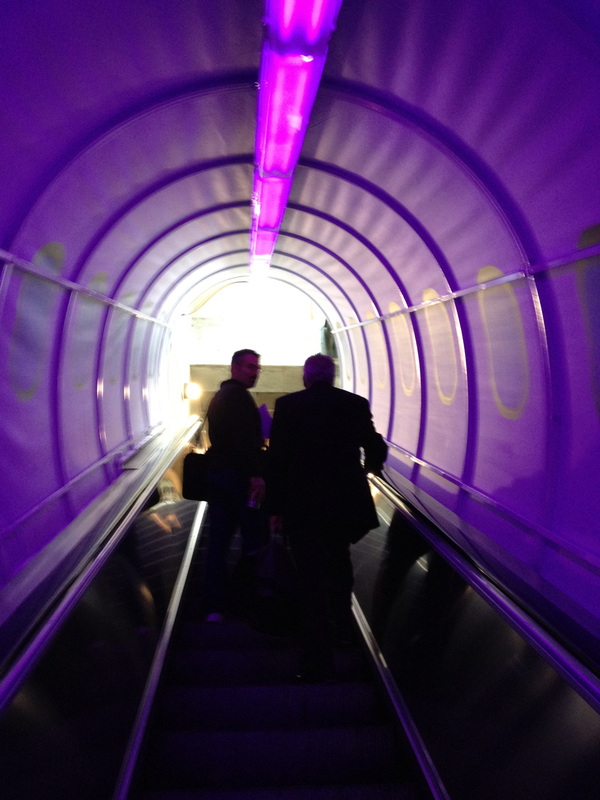 Yep, that’s a mockup of the inside of a Virgin America plane, featuring their signature mood lighting. 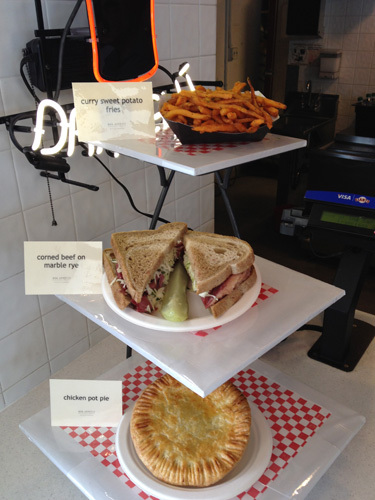 The lighting (purples, grays, reds) is subtly repeated in various areas of the club level itself. The Virgin America sponsorship also includes the introduction of “Fly Bye Baby,” the newest member of the Virgin America fleet. It’s an Airbus A320, and Giants games and feature programming will be featured on Virgin America’s in-flight entertainment system. See a photo of the beard-wearing plane here. 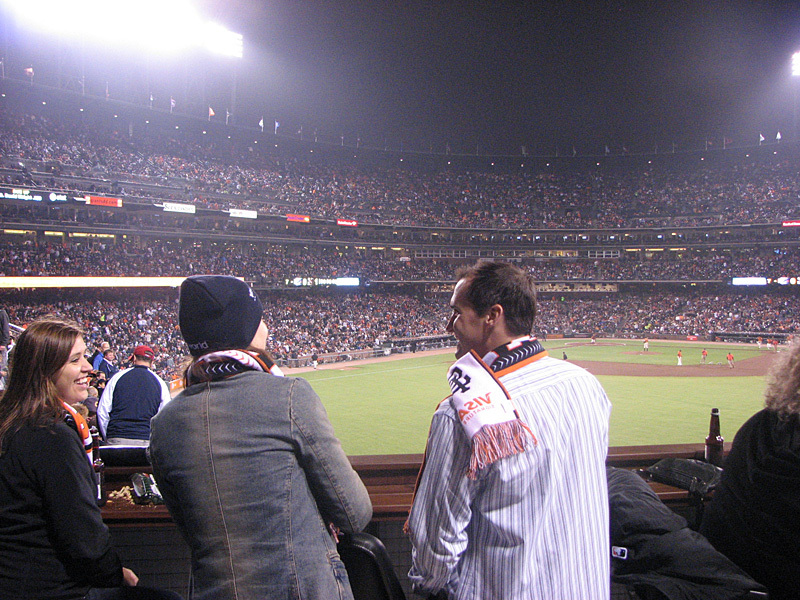 The club level also includes the Virgin America Flight Deck, which the Giants describe as a “hip, outdoor club-like environment” behind sections 229-230, overlooking Second and King streets (it’s the same location where Switchfoot performed last year). It will include new seating, the Widmer Brothers Fan Haus bar and two fire pits surrounded by wind screens to create a more protected fan environment. 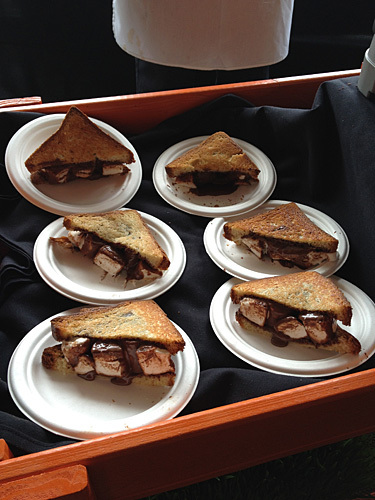 After covering promotions (including four bobbleheads, two gnomes and two World Series team reunions) and the new commercials, the Giants discussed major capital improvements to the ballpark. First and foremost, the goal with the offseason renovations has been to enhance views, improve traffic flow and create a more open feeling overall. 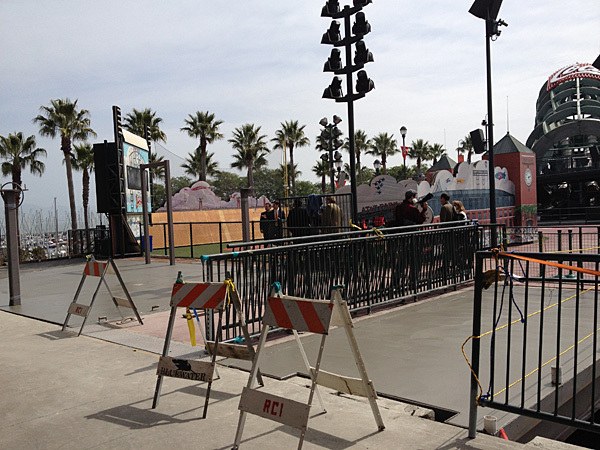 It’s noticeable right away in the main Promenade level concourses. 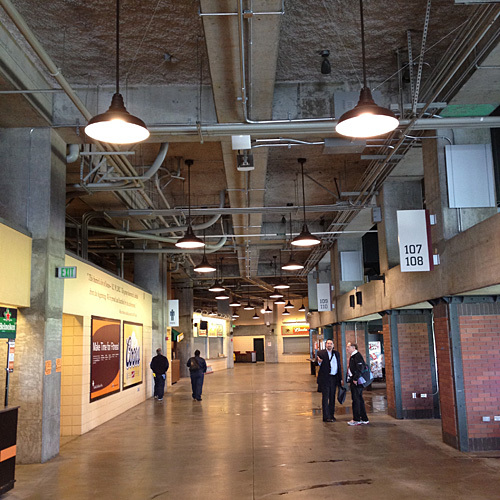 The overhead hanging signs have all been removed, and the lighting has been improved. They’ve also moved all the food carts wedged behind the lower bowl seating to the opposite side of the concourse, mostly in new nooks created along the outer wall. Carts have been moved from the field side to nooks on the outer concourse walls. It wouldn’t be media day without some bathrooms news, and restrooms along the Promenade level have been reconfigured, with the left-field one getting additional capacity. 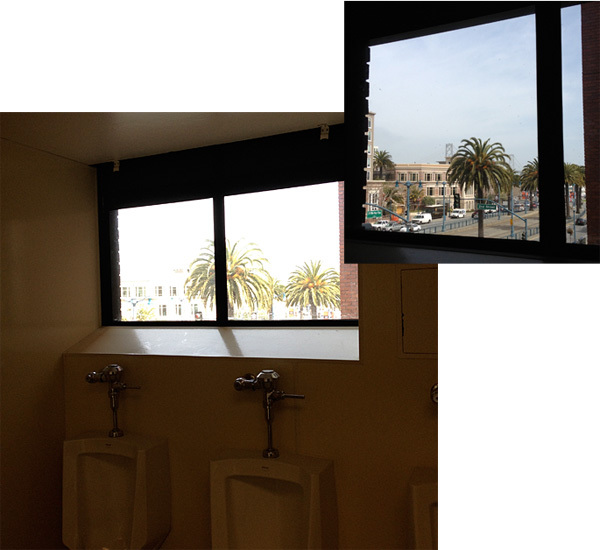 A new men’s room behind section 132-133 has what the Giants are calling “Northern California’s best view from a public bathroom,” looking out to the Bay Bridge (and another larger window overlooks MoMo’s, but don’t worry — they’re pretty high up in the wall). 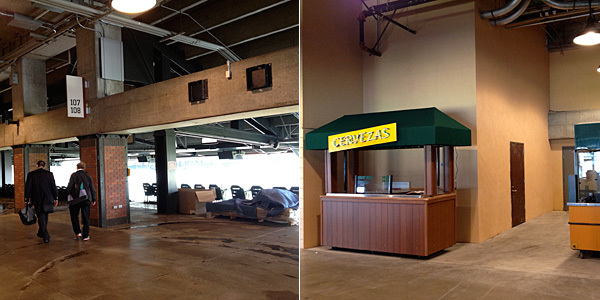 The Bullpen Box, a premium group seating area next to the visitors dugout, is being turned into the Corona Beach Club. It’ll include a small sandy beach, two Adirondack chairs and other beach-themed amenities. As you may have read previously, another notable change is coming down the left-field line, where the congested narrow bridge near the Coca-Cola Fan Lot is being replaced with a new area spanning the entire width of the Fan Lot. It’s called Ghirardelli Square South and will include a Ghirardelli location plus a full concession stand that will include garlic fries and (I’m told) the popular Sheboygan brats. Little Giants Park, the mini ballpark in the Fan Lot, is also being renovated to open up the views toward the Bay Bridge and to add a padded left-field wall just like the real park. 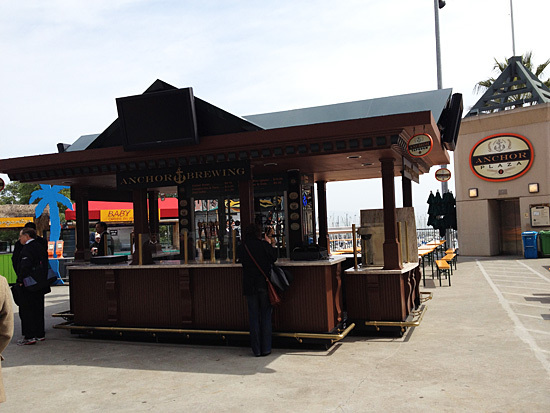 Out behind the scoreboard, the upper concessions area has been dubbed Anchor Plaza and will include an Anchor Brewery Tap Room kiosk. 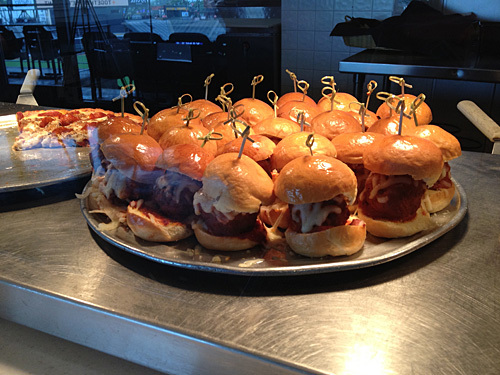 We were told that more Anchor Steam beer is sold at AT&T Park than any other location in the world. 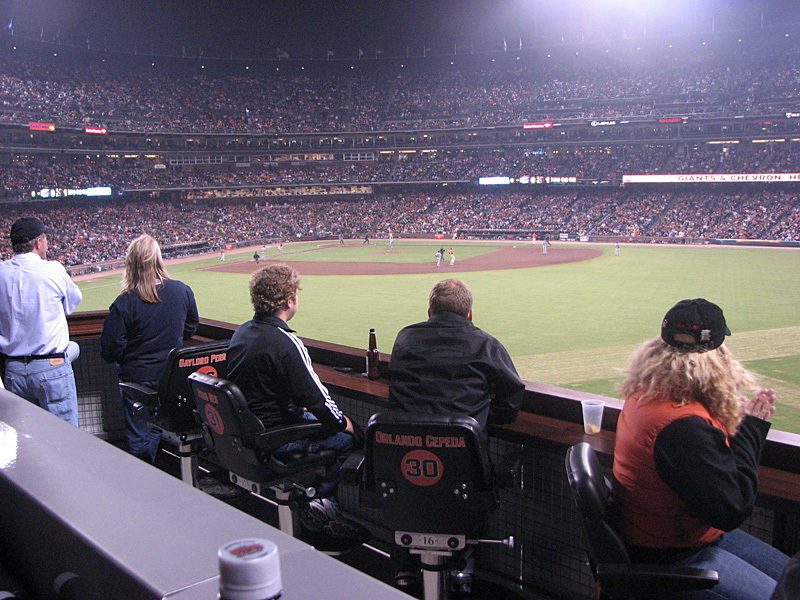 Over the past 10 years, the Giants have added a number of additional seating spaces at AT&T Park, including the Dugout and Lexus Box seats behind home plate, the Legends Club in the left-field corner of the Club level, the Bullpen boxes between the dugouts and bullpens, and the Virgin America Loft in the right-field Arcade wall. But those have all required group bookings, which can be out of reach for a number of fans. Starting with Monday’s homestand opener, however, there’s a new seating area available for the cost of a single-game ticket: the Coors Light Deck. 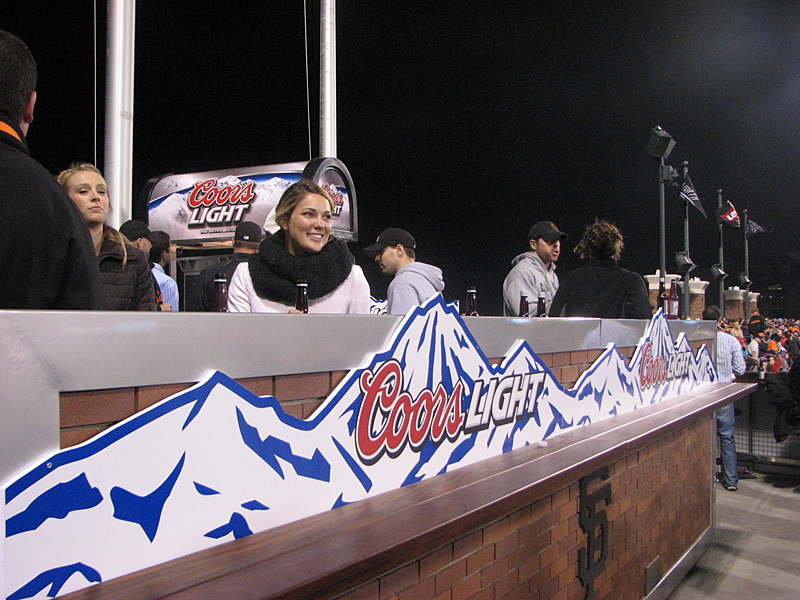 That won’t be its name for long — KNBR is sponsoring a contest to rename it — but you can find it listed in the ticketing system for the upcoming week under the name “Coors Light Cold Zone.” The area is located in right-center field on the Promenade level, right next to the cable car. deck, which features 20 premium padded seats lining the wall overlooking the field. 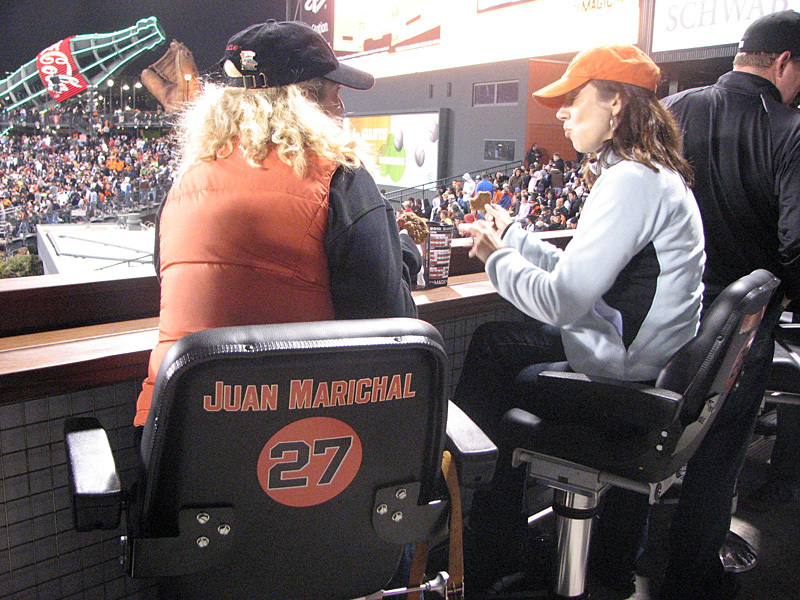 The seats are each adorned with the name and number of a Giants legend, from Juan Marichal and Willie McCovey to Duane Kuiper and Kirk Rueter. 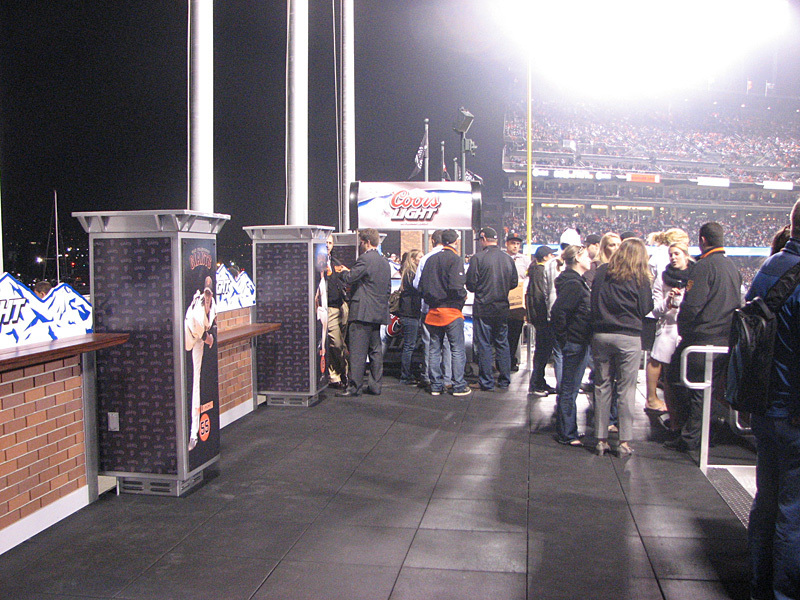 Behind the seats is a deck area that features two Coors Light beer stands. As someone who had season tickets in the Arcade for years, I can tell you that the location of this seating area is fantastic for both watching the game and for amenities. Express restrooms (so named because they’re underused and thus never crowded) are located right under the scoreboard area, just a staircase away from the Coors Light Deck seats. 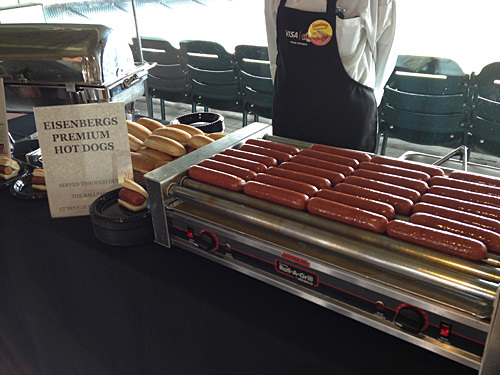 Also under the scoreboard are some of the best concession stands in the ballpark, including a Ghirardelli sundae stand, a Gilroy Garlic Fries stand, Stormin’ Norman’s Fabulous Frybreads (like a funnel cake but a thousand times better) and the legendary Big Guy’s BBQ. 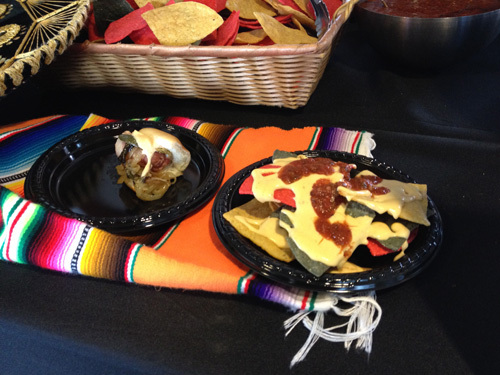 Immediately behind the scoreboard, on the Promenade level, is a food court-ish area that includes Crazy Crab sandwiches and the world-famous (or should be) Cha-Cha Bowls. And it’s a snap to exit (or enter) the ballpark through the less-used Marina Gate, which is closest to the new seating area. Take the ferry to the game and you’ll be dropped off right at that gate.